Romano G. submitted this photo and caption. 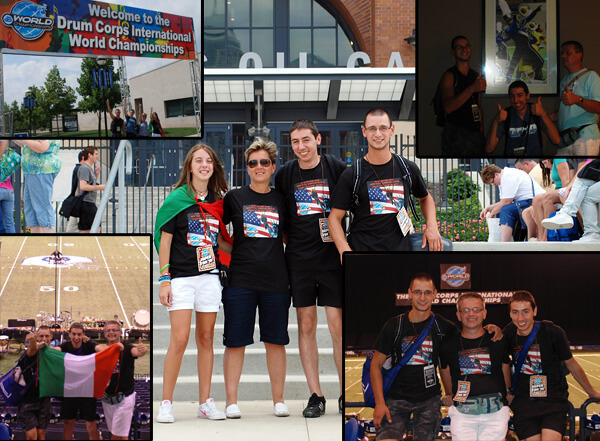 We are five friends that this summer traveled to Indianapolis for the 2010 DCI World Championships. DCI is FANTASTIC!!!!! We play in an Italian marching band, BRIANZA PARADE BAND, and [attending the World Championships] was our dream. We are Alessandro, Alberto (BRIANZA PARADE BAND's drum major), Romano, Laura and Claudia (husband, wife and son).